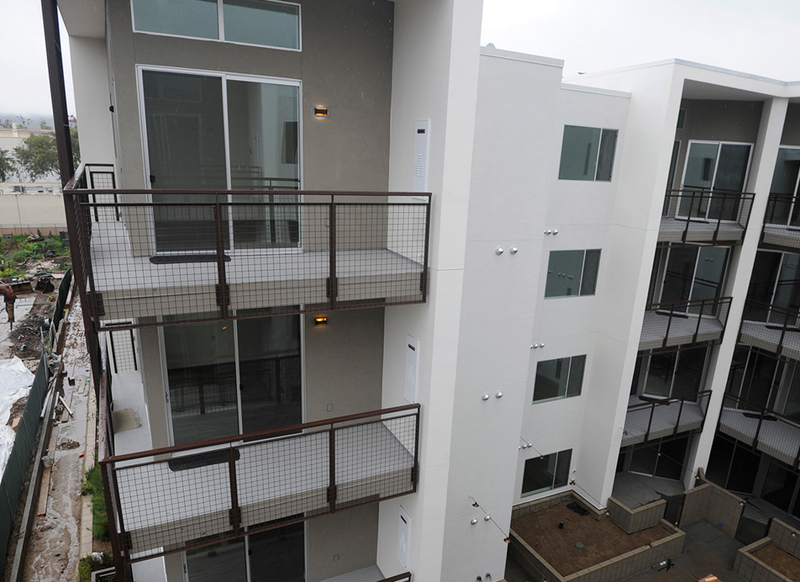 The Marc apartment complex on outer State Street — the biggest, first, and most controversial manifestation of the City of the Santa Barbara’s experimental program to get more rental housing units built — just sold to a Los Angeles–area investment firm for $56.2 million. The property was the first project built under terms of City Hall’s Average Unit-size Density (AUD) program that allowed rental housing developers far greater densities than existing zoning currently allows and dramatically reduced parking requirements. Such incentives, it was argued, would encourage developers to build “affordable by design” rental housing. With The Marc, the definition of “affordable” proved problematic from the start, or more precisely affordable for whom. From the get-go, rents at the 89-unit Marc — $2,900 to $3,700 a month — induced sticker shock and gave AUD critics an endless supply of rhetorical ammunition. Not only was the project too dense, they argued, but it catered to people at the higher end of the income scale. Since The Marc opened its doors two years ago, City Hall has been embroiled in a nonstop debate as to whom such developments were targeting. City planners insisted AUD housing should target households making $77,000-$130,000 a year. Affordable housing advocates insisted City Hall should focus instead on the so-called “missing middle,” households with less than annual incomes of $77,000. The Marc was always represented as something of an outlier; owner-operator Greg Reitz all but apologized to the council on one occasion for all the amenities it provided: lots of interior open space, rooftop gardens, fire pits, a pool, and bocce ball courts. Reitz inflamed simmering resentments with his marketing campaign when he and his partners put The Marc up for sale. Brochures boasted that more than half the residents made more than $150,000 a year and 22 percent brought home more than $200,000. Later this year, the council will wrestle with a proposal to impose affordability requirements on projects built according to AUD density guidelines. One proposal would require that up to 15 percent of all AUD units be rented at rates affordable to members of the so-called “missing middle.” Developers have strenuously resisted this in the past, arguing such requirements would render such development economically infeasible. Expert housing consultants hired by City Hall, however, concluded that even with 15 percent affordability requirements, such developments penciled out. In the past, councilmember Gregg Hart proved an effective opponent of such changes. But Hart has left the council after winning election to the County Board of Supervisors, and it remains to be seen which way the council will tilt.